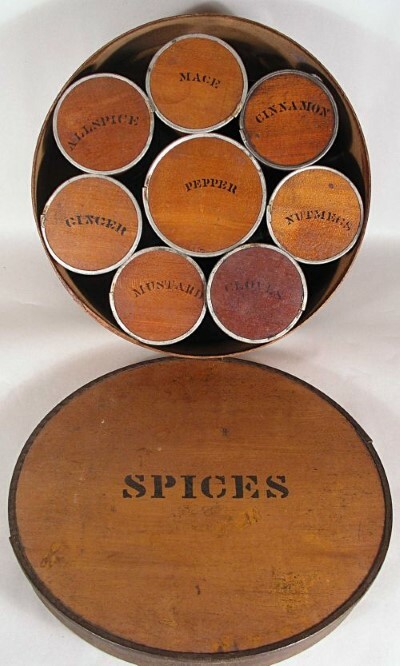 Round spice set/pantry box complete with all original Stenciled spice containers. Fantastic original condition with most still full. You will not find a cleaner set. 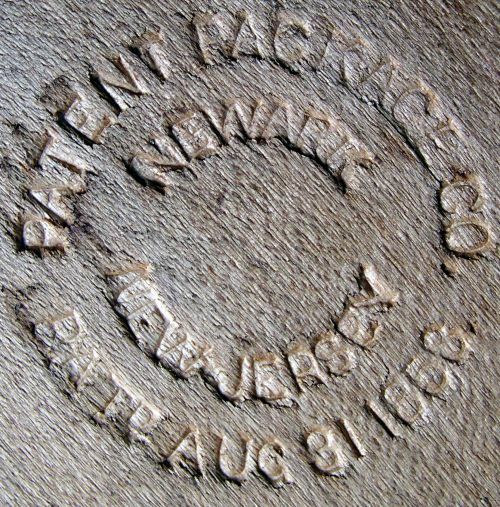 Bottom is stamped Patent Package Co. Newark New Jersey Pat.August 31 1858. 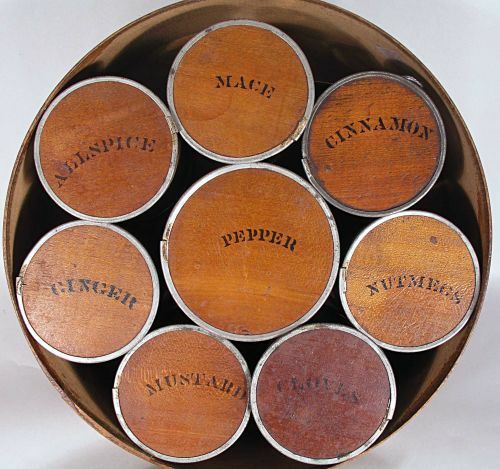 Dimensions: Box measures 9 1/2" across X 3 1/4" Tall.